Hi there, how are you doing? I hope you have had a good couple of weeks. Mine have been busy and very entertaining. 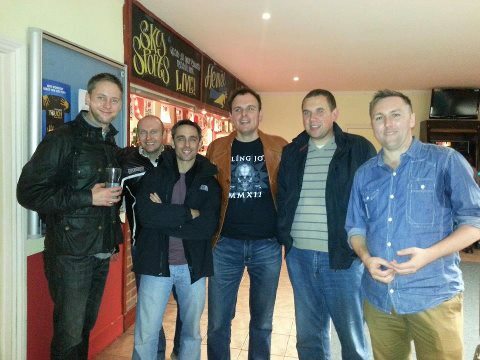 A fortnight ago I went along to the last ever Laughing Badger Comedy Night at the Rose and Crown in Hemel Hempstead. 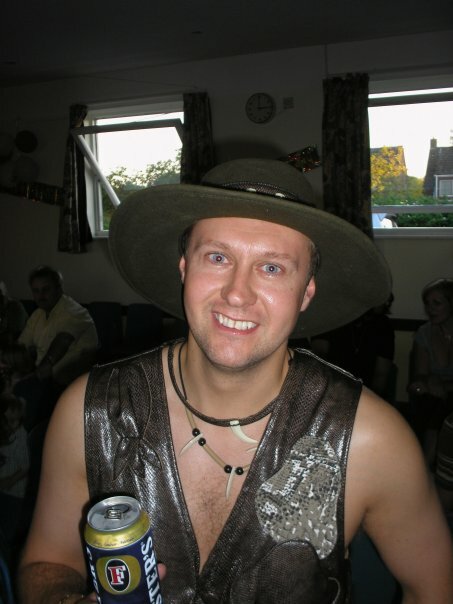 It was the final event run by Lee Bryant after three years of putting on shows in the Hertfordshire area. As I said previously I actually performed at the very first one. Which was headlined by James Redmond at the Hemel Stags Rugby Club. So basically I was the third ever act to appear as part of the brand. It was a fun night and a lot of the audience had stayed loyal with them from the start right to the end. So it was a nice celebration of lots of good fun times. The final Laughing Badger Comedy Night was hosted by Matt Hake. Who has been performing that role for the last couple of years. 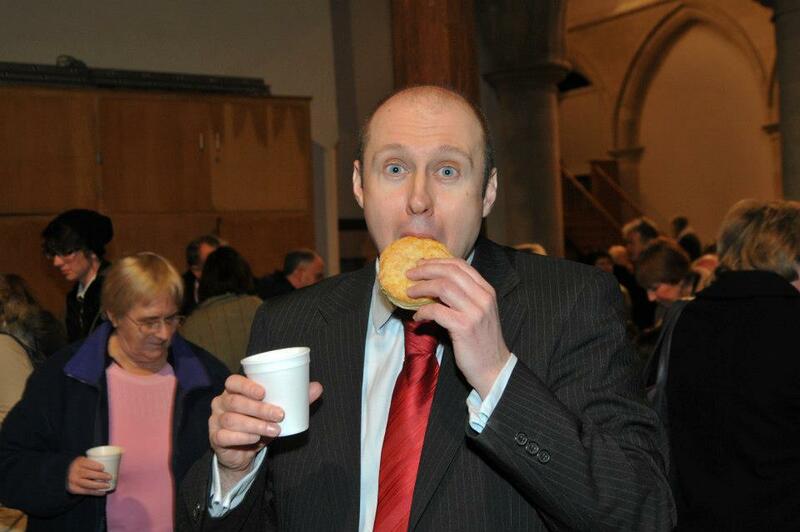 Like me he is also from the Tringe Festival Roving Comedy Night production line. Having been taught by the comedy guru that is Logan Murray as well. The line up for the evening included the pretty unique President Obonjo, local comedian Tom Mayhew, the Rev Henry King, the brilliantly funny Filthy Phil and the man of the moment Lee Bryant. 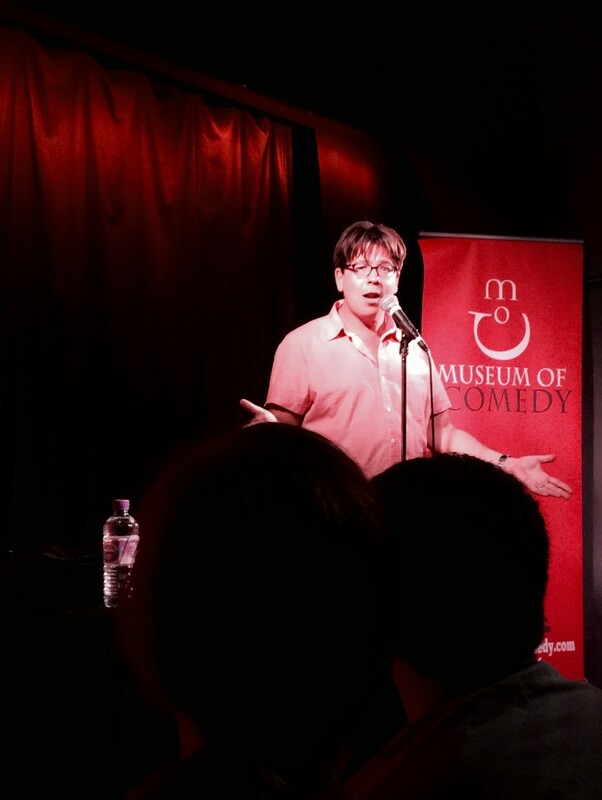 It was then headlined by Stu Turner, who combines comedy with some brilliant magic to very good effect. All the acts I have to say were totally brilliant. The place was packed with happy people up for a good time. It was a fun night. And a very fitting send off to an old friend, I thought. In the bar next door afterwards there was some Karaoke going on. Now Filthy Phil sings his own very rude parody versions of some pretty well known songs. Which are both hilarious and in parts disgusting. One of the best bits of the night for me was after the gig when Filthy Phil took over the main pub karaoke. To sing one of his versions of a song. The looks on people’s faces were priceless. As you could see them thinking I am sure these are not the right words for this but not properly registering what he was actually singing. Making it a very very different song. Congratulations to Lee Bryant for putting on such a good night. And all the best with your future projects. 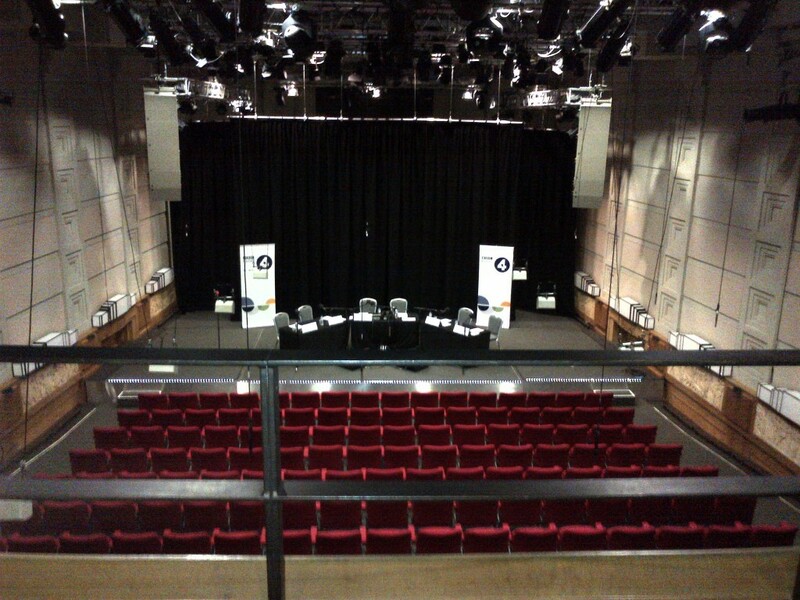 A few Sunday’s ago I was at the wonderful BBC Radio Theatre at New Broadcasting House in London to see two episodes of a brand new comedy show called Live at the BBC being filmed for BBC Three. It focuses on mainly upcoming acts who have done well and been spotted at the Edinburgh Festival mixed in with a few more well known comedians. On the afternoon I was there. I got to see a cracking five minute set from Adam Hess. The whole of Felicity Ward’s last Edinburgh Show. A totally madcap five minutes from Spencer Jones. And finally the whole of James Acaster’s current show. It was a lovely way to spend a weekend afternoon. Inside a great venue and having a good old fashioned laugh at some great new comedy. 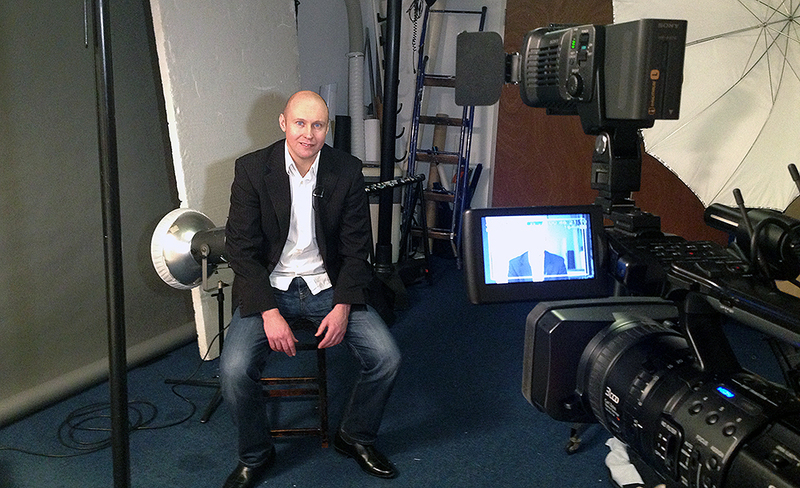 It will be shown on TV, some time early next year. So do keep an eye out for it. 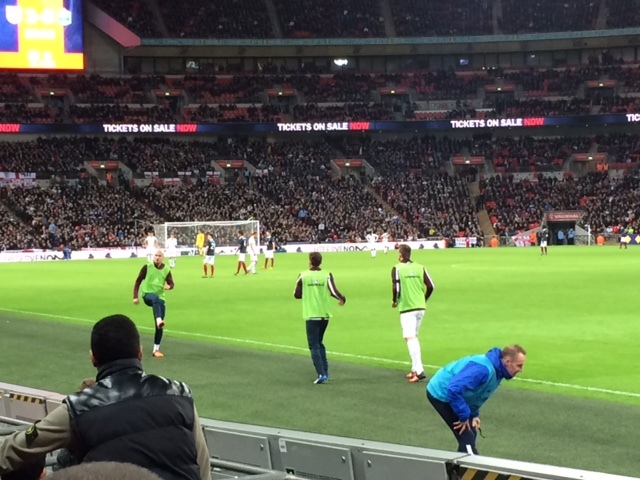 I attended the England versus France Friendly Football International match at Wembley Stadium. I had my ticket before the tragic events that took place in Paris on the Friday before the game. Once the game was given the go head. I was always going to be there to show my support and respect. It was I have to admit quite a surreal and at times eerie atmosphere outside the ground and even inside before kick off. But after the two teams walked out of the tunnel. And once the important, poignant reflection and unity was shown. The game kicked off and everything felt right and more normal again. 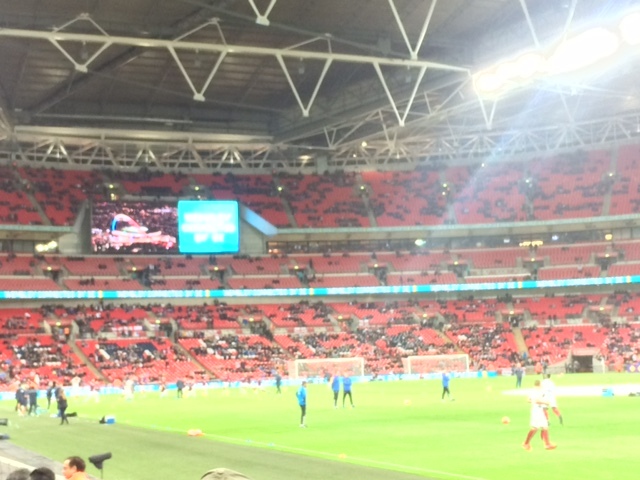 It was a decent game I thought with England playing some very good football at times. You could of course forgive the visitors, if their minds were not completely on it. But they did well and it made for an entertaining spectacle. The occasion and reflections were of course much more important than the sport being played. 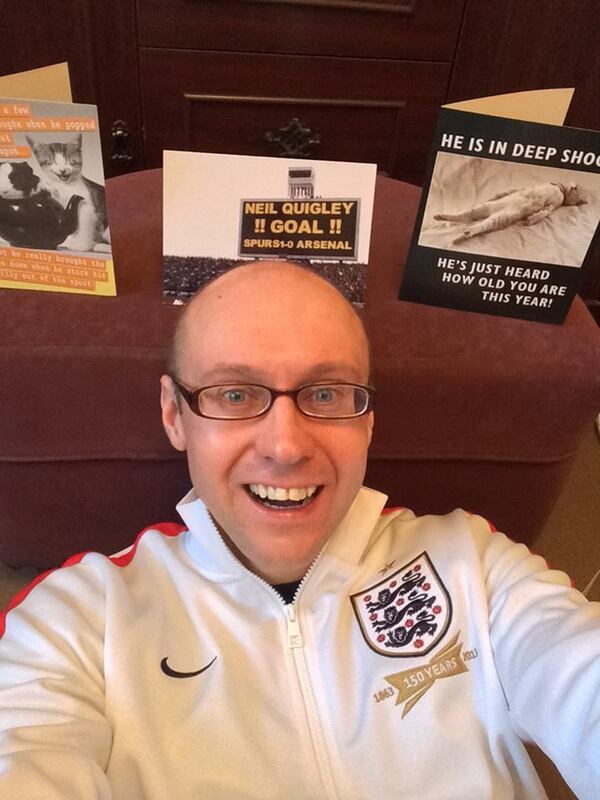 It was nice however as a Spurs fan to see Deli Alli score his first goal for his country. Although it was a bit weird seeing it fly past Hugo Lloris. Good to see Wayne Rooney add to his tally to. A nice night spent watching the game with my Dad. Thinking about family and friends and how important they are in our lives. I had an excellent afternoon last Friday at the Elgiva Theatre in Chesham seeing Neil Sand’s Christmas Memories. It is a brilliant two and an half hour show. That features so many classic Christmas Songs and carols. That if you do not leave at the end of it feeling very festive you have no soul or festive spirit at all. It features a very talented cast including the sensational singers Gemma Turner and Chelsea Turnbull plus of course the man himself the great singer and all round entertainer that is Neil Sands. It is a really fast moving show. With something for everyone including a fair bit of comedy as Christmas Memories are shared with an audience very happy to reminisce about this most wonderful time of the year. It was great to catch up with the legend that is Neil Sands after the performance. He is one of the nicest people you could meet in show business. And he really does put his heart and soul in to his productions. They always do have great singers, great songs and great costumes to. He does tour several different shows around the country every year. So do keep a look out for them at your local theatre. If one is on trust me go and see it. You will have a great time. It was also lovely to see Gemma Turner again. I met her previously several years ago when she was on tour with Neil in Yeovil. She has an absolutely beautiful voice and is such a top performer. And it was nice to meet Chelsea Turnbull, albeit very very briefly. She is another class vocalist. Who can certainly belt out a tune. I left the venue with a nice warm glow after seeing the show and chatting to the cast. So this is quite big. 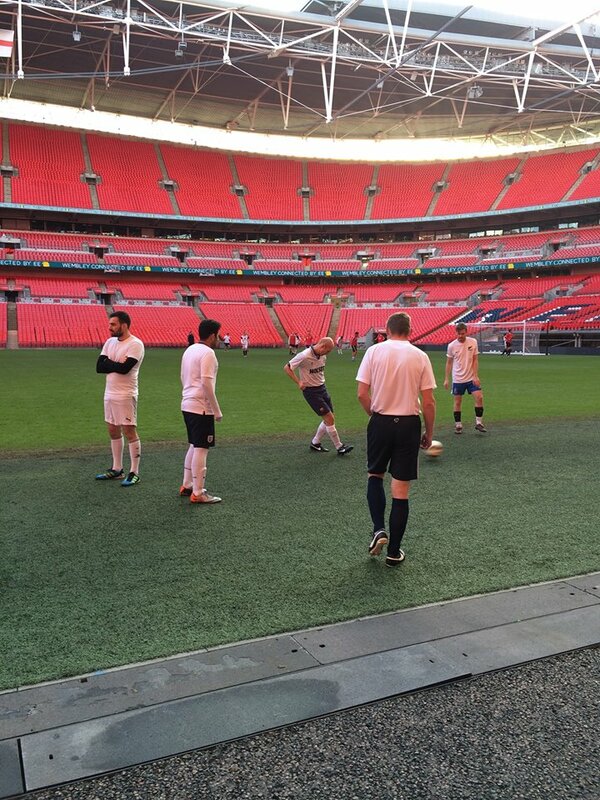 Last Wednesday I got to fulfil one of my childhood dreams and play football on the pitch at Wembley Stadium. I was invited to be part of a Football Association Charity Day raising money for Breast Cancer Care. There were several matches running through out the day. Each game lasted twenty-two minutes. I was lucky enough to play in game eight. 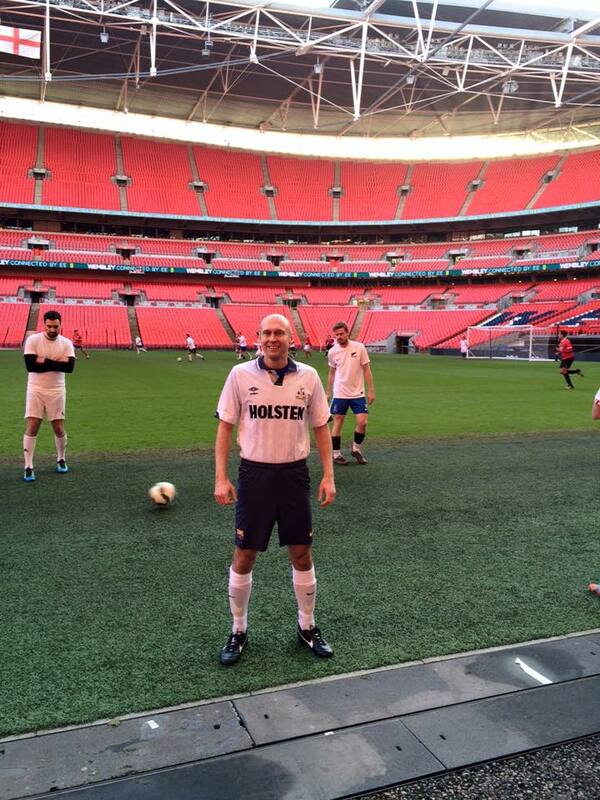 So wearing my Tottenham Hotspur 1991 FA Cup Final replica shirt. I got to play at the biggest and best sporting ground in the country, if not the world. It was such an amazing feeling to run out there and then get to perform or at least play a bit at the home of the England National Football Team. I was secretly hoping Roy Hodgson might be there on a scouting mission looking for new players for next summers European Championships but he wasn’t. To think of all the truly great footballers, who have appeared there over the years. And to have now done so myself it is mind blowing. It was a brilliant day and an unforgettable experience. I do not think I have stopped smiling since. We raised over two-thousand pounds for the the charity. Which is of course the important thing. Although the team I was playing in won three-nil. Which does mean I have an one hundred percent win rate at Wembley Stadium. Which is better than a lot of professional footballers. It was a fantastic honour to do it and I am so thankful for the opportunity to take part. I still have not cleaned my boots yet so they still have some Wembley turf on them. I have of course still been watching and enjoying the excellent Strictly Come Dancing. It is such a good entertainment programme with a generally positive feel to it. Filled with people trying hard to learn a brand new skill with varying degrees of success. And with extremely close relationships and bonds being formed between the dancers and their celebrity partners. Then there is the genius of those professional dancers. In the way they teach the contestants each different dance so well. And create the choreography and overall spectacle for each performance. Last weekend the couple I was supporting Jamelia and Tristan left the competition. I have always really liked her and think she is very interesting and entertaining. If I am honest I chose her before the series started. And being a pop star I thought she might already be quite a natural mover. However this did not necessarily prove to be the case. But you can’t fault her for effort and commitment to the whole thing. I do not want this to sound like sour grapes because my girl has gone. But personally in the dance off last Sunday. I thought her and Tristan’s one off dance was better than Peter Andre’s and Janette’s. Don’t get me wrong. I really like him. He is a top bloke. A better all round dancer than Jamelia and the two of them do make a great couple. But just looking solely at both dance off performances only. I really did think Jamelia and Tristan should have stayed. The only slight consolation was that the head judge Len Goodman did at least agree with me. I will still be watching the show. It is brilliant fun and all the celebrity’s still in, are fantastic. The competition is so tough this year. I am not going to pick a new favourite pairing. I am just going to support them all equally, that way I can’t lose. Keep Dancing. I am again loving I’m A Celebrity Get Me Out of here. It is my favourite television show. Ant and Dec are as ever on top form conducting the madness and having a good laugh at everyone’s expense including their own. I have met two of this year’s camp mates. Firstly Susannah Constantine who I met at a radio station in Somerset. While she and her fashion colleague Trinny Woodall were being interviewed by a colleague of mine. The other person is the brilliant Tony Hadley. I first met him when he was promoting his autobiography and he came on my radio show in Yeovil. I have since bumped in to him at the Waterside Theatre in Aylesbury and at my local fish and chip shop. The last two meetings occurred because he now lives near to where I do. He is such a nice fun, friendly and positive man.Which I personally think is coming across in the jungle in quite trying circumstances on occasions. It is a really good and interesting cast this year. Full of very interesting characters. I am still very much supporting Tony Hadley and I hope that he can win it. I have to confess that I have never watched Geordie Shore. So I had no idea who Vicky Pattison was when she went in with the other reality TV stars. But I have to confess I really like her. She is smart, funny and a little bit feisty. Plus I can’t explain it but I have always found the accent in a lady shall we say intriguing . So I wouldn’t mind her staying till right at the end. She is not a drama queen and seems to have a great sense of humour. So I guess what I am saying is that I want Tony and Vicky to be the final two left in there. The other thing I really love about this show is being on Twitter, while it is on. So I get to interact with people all over the country about the show. Which really adds to my enjoyment of it. Specially as hardly any of my friends seem to see it. Next Sunday I am heading along to the Theatre Royal in Drury Lane to see Michael McIntyre’s Big Christmas Show being filmed. I am pretty sure the guest list for this will be good. So I am looking forward to a great evening spent in the West End in the company of a top comedian. I will let you know what it was like, next time we speak. My Birthday is approaching so I am making plans and looking forward to celebrating that. It is on Thursday 10th December this year. Just in case you want to send me any cards or presents. I am not sure what I am doing just yet but I will say now that next year’s plans will definitely be much bigger as it is a landmark age then. I have had some wonderful birthdays over the years. I try not to work on them but occasionally this can not be helped. One year I found myself working with the Drifters on the night of my special day. They were singing as the cabaret and I was djing at a Christmas Dinner and Dance. Which was absolutely the right way round of doing things. Happily I love them and their songs. So it was a great evening. Hi there, how are you doing? I hope you have had a really good couple of weeks. Mine have been busy with lots going on. I mentioned previously that a member of the Wembley Stadium management team was leaving. Well on his last day there, they arranged a few drinks in the evening at the Sky Bar at the Wembley Hilton. 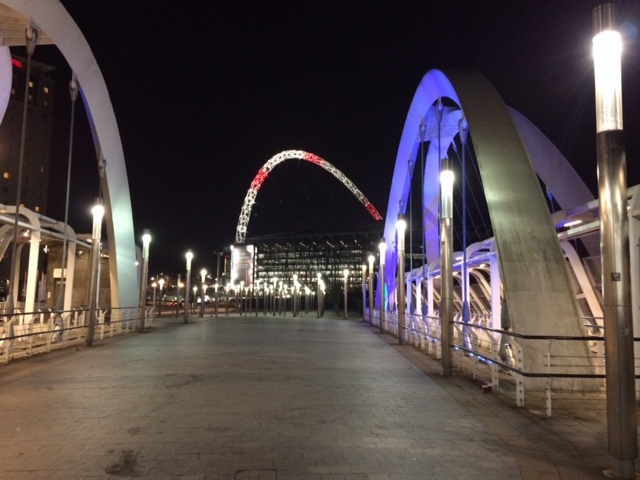 The hotel is used by a lot of the teams, who play at Wembley. And also by artists who are performing at the Arena next door. It was though the first time that I had been in there. It is a very cool bar. Which would have wonderful views right across London. If it wasn’t for the great big stadium in front of it. You do get a brilliant view of the stadium. And from that vantage point you can see what a spectacular building it is. It did provide a lovely backdrop for the occasion. They also had potentially the most addictive bar snacks ever in there. They were like miniature chilli flavoured rice cakes. It was impossible to just have one and walk away. You could not stop helping yourself to at least three or four every time you walked past them. Trust me they seemed to disappear very quickly. Personally I thought they complimented the drinks very nicely but then you would expect that kind of class from a hotel of that calibre. I was once again working behind the scenes at the final NFL American Football Game of the year at Wembley Stadium between the Kansas City Chiefs and the Detroit Lions. It was a fun weekend working with both the teams, VIP guests and the officials from America. Also at the game were the Spurs forward Harry Kane and the singer and actress Alexandra Burke. So I was in very good company. It was great to see the Military Wives performing the National Anthem. They did a brilliant job and looked to be having a good time. The pre-game show saw Madness perform three of their biggest hits. I was lucky enough to be one of the few people inside the ground when they were sound checking. So it did feel like Suggs and the gang were giving me a bit of a private concert. They were sounding fantastic and as you would expect went down an absolute storm before the start of the game. It was great seeing over eighty thousand folks all doing their best Madness style dancing in the stands. 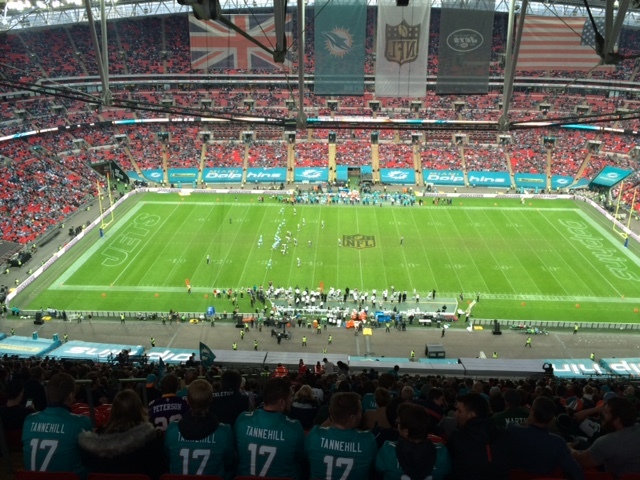 It was another successful NFL International Series at the home of English Football. There will be at least two matches played at Wembley Stadium next year to. If you ever get the chance go along and give it a try the atmosphere is always electric. The Americans really do know how to put on a great show. I hope you enjoyed a safe and fun Fireworks Night. For the first time in as long as I can remember I did not actually go to a display this year. As much as I do like them. It was nice to take a break. Owing to working in Radio for over a decade. I have been to and hosted a lot of these big events over the years. I have also sometimes organised the entertainment element of them. So I have booked acts to perform, hired staging plus Sound and Lighting. I have even stage managed a few of them. Making sure everything goes to time. This normally included having the Fireworks set to music. So as you can imagine the timing on something like that is very critical, to say the least. I have loved every minute of doing them. 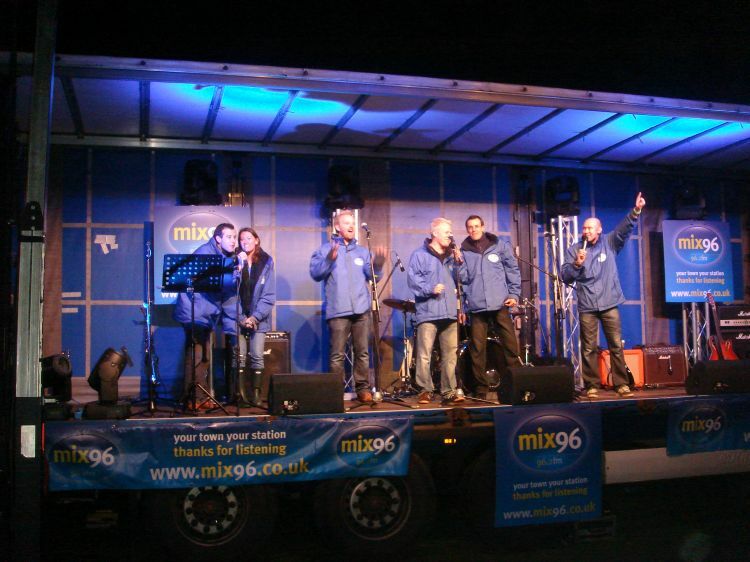 I had great fun being involved and standing up on the stage, seeing the people really enjoying themselves. But it was certainly a nice and refreshing change to have a slightly less stressful Bonfire Night. 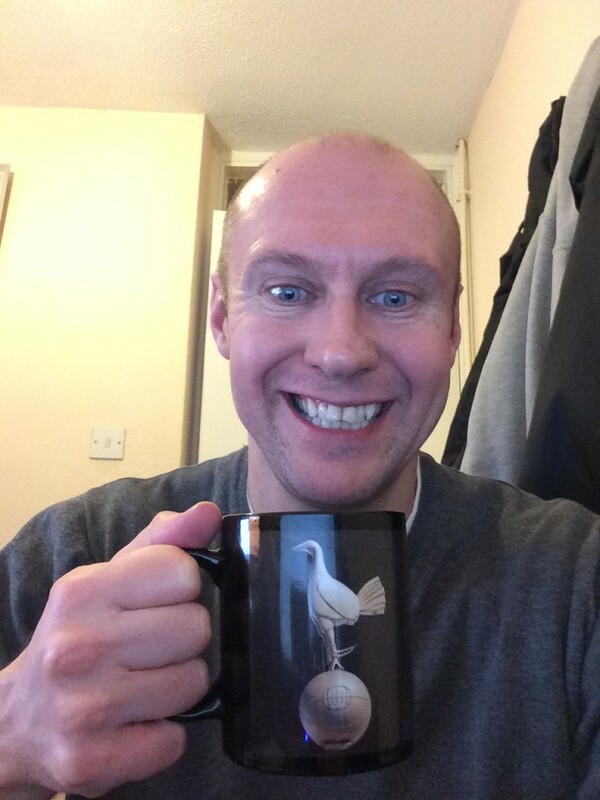 This year I just kicked back and relaxed with a nice cup of tea. While watching others’ displays from my window. I do like live comedy. And I do like to see as many different comedians as I can perform in person. Last week I managed to tick another person off my must see list. When I went and saw Sean Lock do a Work in Progress gig at the Leicester Square Theatre in central London. The last time I was there was about twelve months ago. When I was taking part in a Stand Up Comedy competition myself. It is fair to say that there were slightly more people there to see Sean. I have seen quite a lot of these warm up kind of shows from many different comics and most bring on bits of paper and books to remind them of their new material. He had a big white board flip chart on stage with him. Mind you it seemed to work a treat as the new stuff he was doing seemed to flow expertly and effortlessly. And most importantly it was very funny. All of the top comedians do tend to have their own brand and style. So nobody else could do the jokes and material that he does. As it would not really work without his personality and seemingly slightly grumpy outlook on life. They talk about finding your own voice in comedy. That is something all the top performers have. It is not just about telling the jokes. It is about making it sound conversational and natural. It was a top night out. If you have tickets for his tour, you are in for a treat. 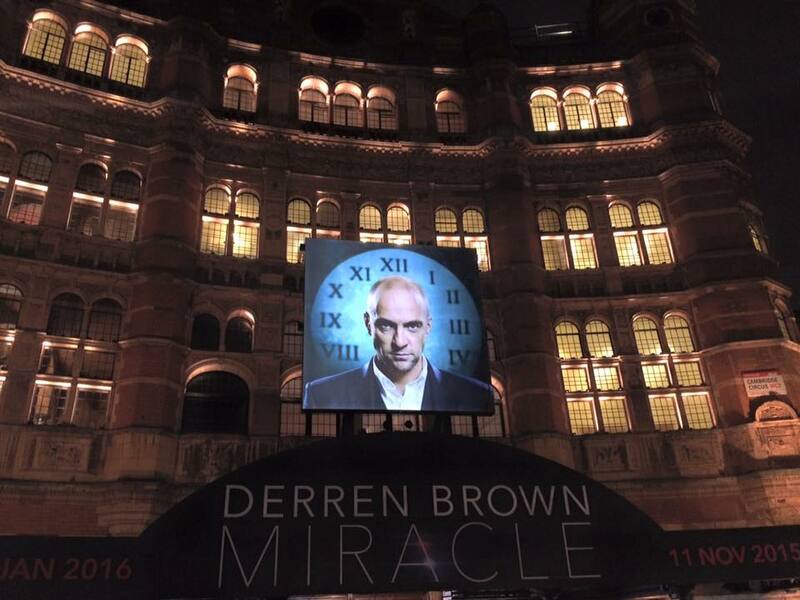 Something else that I would recommend seeing is the latest Derren Brown Show called Miracle. It is on at the Palace Theatre in London until the 16th January next year. I was lucky enough to go along and see its opening night in the Capital. It has been on tour around the country earlier this year but will now be based in the West End for a couple of months. I am massive fan of what he does and I have seen him live before at The Waterside Theatre in Aylesbury. This latest show has got all the magical ingredients that you would expect from one of his appearances. All of it just leaves you thinking. How on earth did he do that? There is plenty of audience interaction with lots of different people involved in the elements of the evening. There is also a lot of humour and jokes in the show. Which all just adds to the entertainment. I like the way he makes no secret of the fact that he will be able to slightly manipulate people to do what he wants. Yet there is nothing at all you can do about it. It does touch on one of his earlier Channel 4 televisions shows (which I also love), for a bit. It is a positive and feel good production. Which will leave you feeling upbeat and with a big smile on your face. The stuff he does on that stage is amazing. You can clearly see the dedication and hours that have gone into honing his almost super humans skills. Not to mention the way that he and the production team have put it all together, in to such a great piece of theatre. With his breath taking mind skills. He is the nearest thing that I have ever seen to a real life “Jedi”. Later tonight I am going to the last ever Laughing Badger Comedy Night. 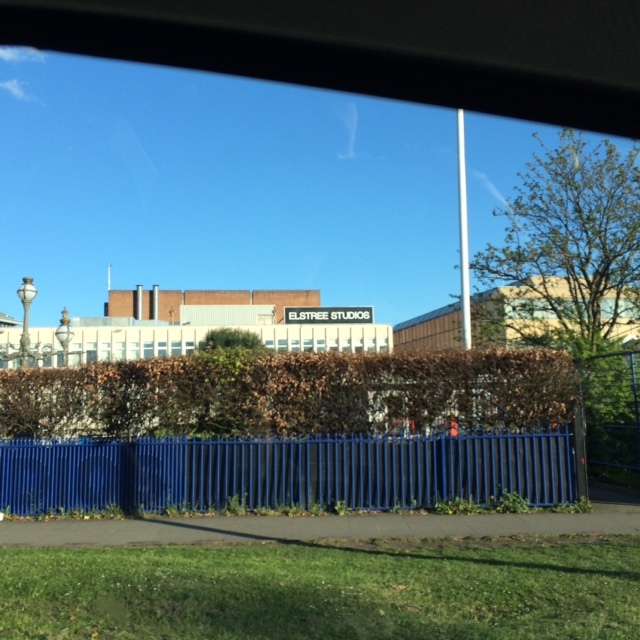 It is a comedy club that was set up by Hertfordshire impresario Lee Bryant around three years ago in Hemel Hempstead. I was honoured to be one of the acts who performed at the very first one. 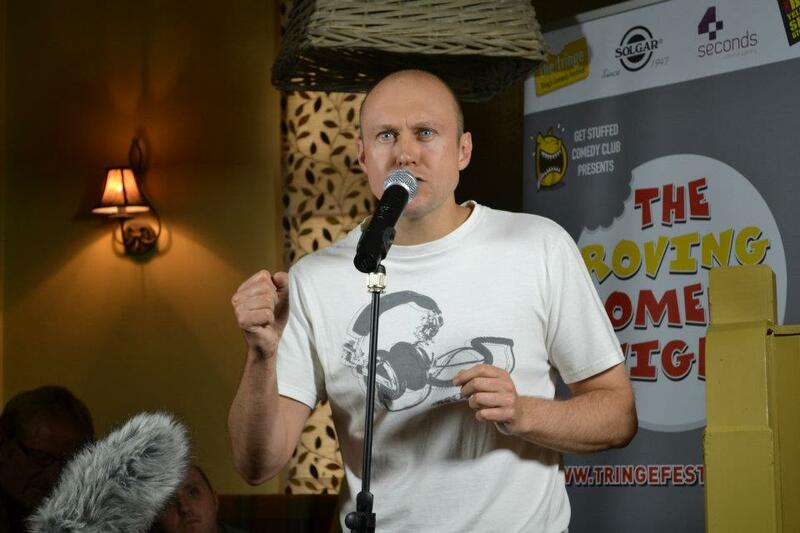 It was my fourth gig after the Roving Comedy Night at the Tringe Festival. 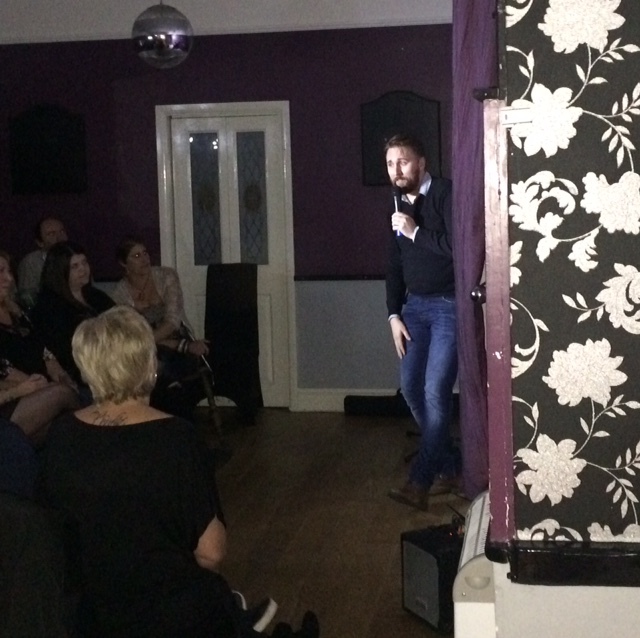 Night one was headlined by the former Hollyoaks and Casualty actor turned comedian James Redmond. Who is a top bloke and really funny. It also featured the brilliant Flange Krammer. He is well worth seeing by the way, if you get the chance to. I did about four or five of the Laughing Badger Nights and really enjoyed them. It is a shame that they are ending. But I am assured by the main man that they are going to go out with a bang. It will be a memorable end to what has been a fun venture. I am really looking forward to it. It will be lovely to catch up with some friends and have a good old giggle. No one knows the list of comedians who are performing yet. But I have a funny feeling that Lee has some good things up his sleeve and lined up for us all. Congratulations to him for running them for the past few years and I wish him all the best with his future projects and plans. This weekend is packed full of comedy for me. 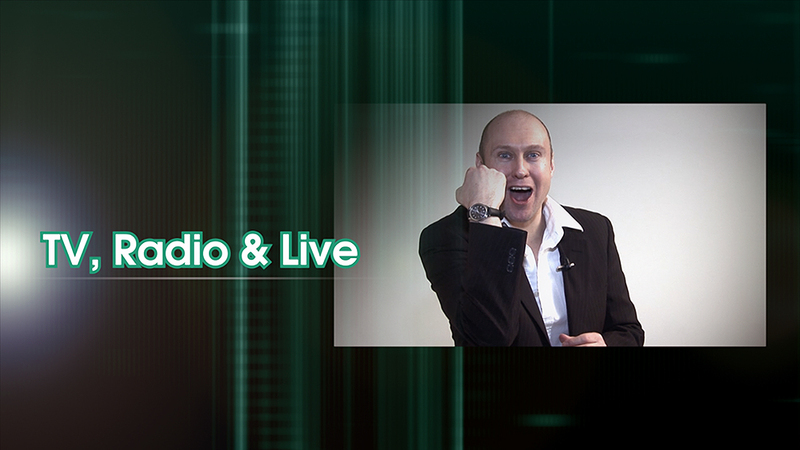 Tomorrow I am going to the BBC Radio Theatre in London to see two separate stand up comedy shows recorded for a new BBC Three show called Live at the BBC. They are keeping the acts a surprise at the moment. So at this point I do not know who I will actually be seeing. I am also not sure when it will be shown on television either. But I am really looking forward to spending Sunday afternoon in a lovely venue. Enjoying some top quality comedy. I will let you know who the comedians were next time we speak. But I am confident it will be a great line up. Many years ago when I was working in Yeovil I met a great gentlemen called Neil Sands. 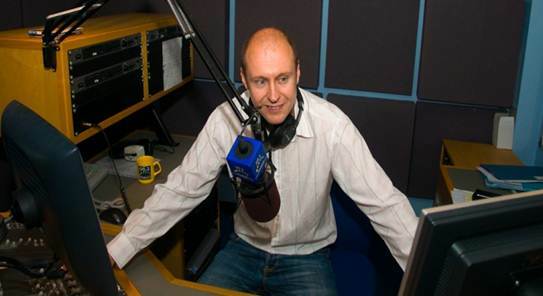 Who came on to my radio show to talk about his Country and Western show that was playing at the Octagon Theatre in the town. He is a very interesting man who has done a lot of cool stuff. He was a professional wrestler for a while for starters. And if anybody of a certain age remembers going to Bagley’s Warehouse near Kings Cross on a Sunday to enjoy the crazy party that was “The Church”. He was actually one of the main people and promoters behind that. Next Friday I am looking forward to catching up with him in Chesham. Where he is performing in his latest show called “Christmas Memories” at the Elgiva Theatre at 2pm. And finally my favourite television programme of the year also starts tomorrow night. I’m A Celebrity Get Me Out of Here returns with Ant & Dec at the helm expertly steering the ship. I have met two of the camp mates on this year’s show. But you will have to wait until my next update to find out which two that is. In fact I have met one of them on more than one occasion. And if I am honest they are such a top person I already want them to win the whole thing. Even before the competition has started. This series I fear will pretty much take over my life for the next few weeks. Well certainly my evenings at least.